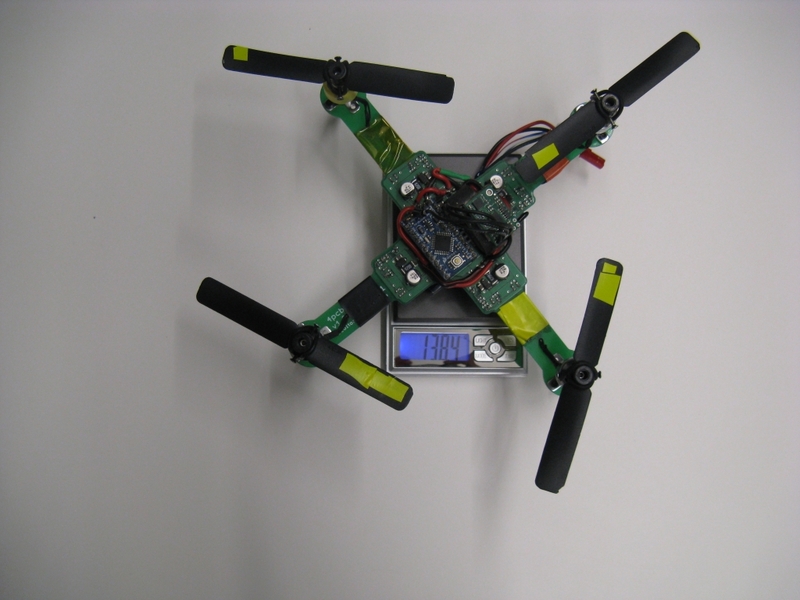 There are many Quadrotor Projects out there. But, they require a hobbyist to deal with the Frame Designing (Mechanical), a bit of Microcontroller knowledge as well as dealing with the Motor Control (Power Electronics). You may purchase a commercial Radio and a readymade Kit for flying. But, to Do-It-Yourself, is an achievement in itself. I heard about Arduino some time in 2007/2008 and have used it for a few projects since then. I built the quadrotor for fun / hobby (not related to research). I wanted to build my own (quadrotor) from scratch because I could integrate all the parts onto a single circuit board, and because I like designing the control system myself. When he says he build the quad from scratch, he literally did it. Neither did he use any commercially available Radio Control, nor did he use any Electronic Speed Controllers (ESCs). Instead he went for creating his own Brushless DC Motor Controller, that too, on the same PCB which acts as the Quadrotor’s Frame. Now, that is called a hobby. 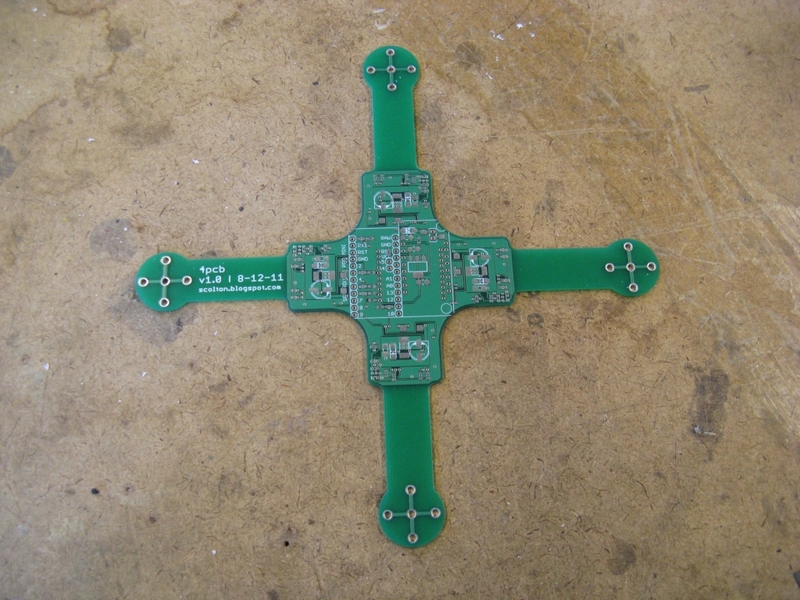 In a detailed Instructable, he shows how you too can build a Quadrotor on a PCB. He has a project blog at http://scolton.blogspot.com with documentation on most of his projects.